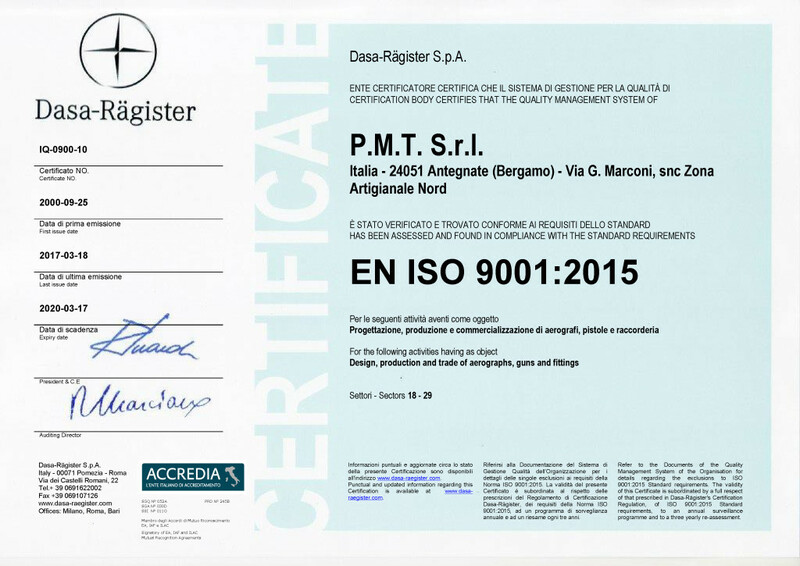 ISO9001 is an essential factor in order to guarantee to our customers the highest efficiency and quality standards. For this reason, we use specialized experts and we reach high competence and technological levels. 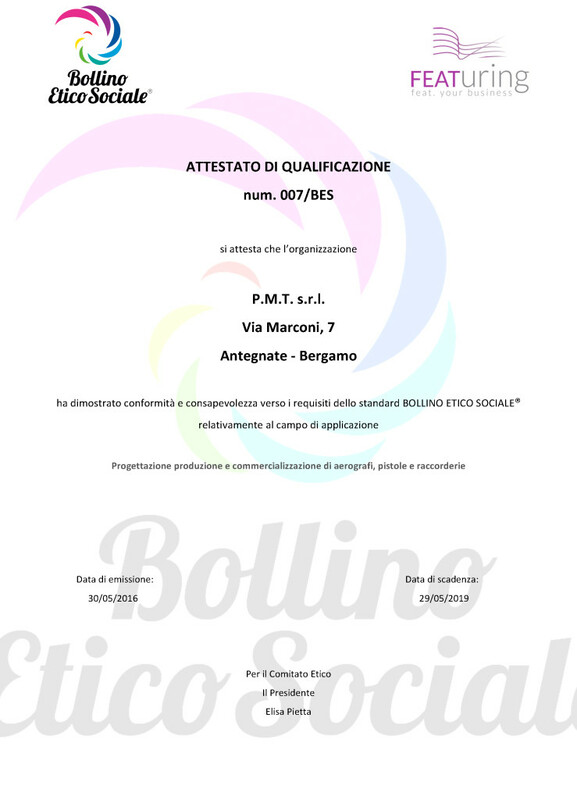 The ethical and social mark is an essential factor in order to guarantee to our customers the highest efficiency and quality standards. For this reason, we use specialized experts and we reach high competence and technological levels. P.M.T. 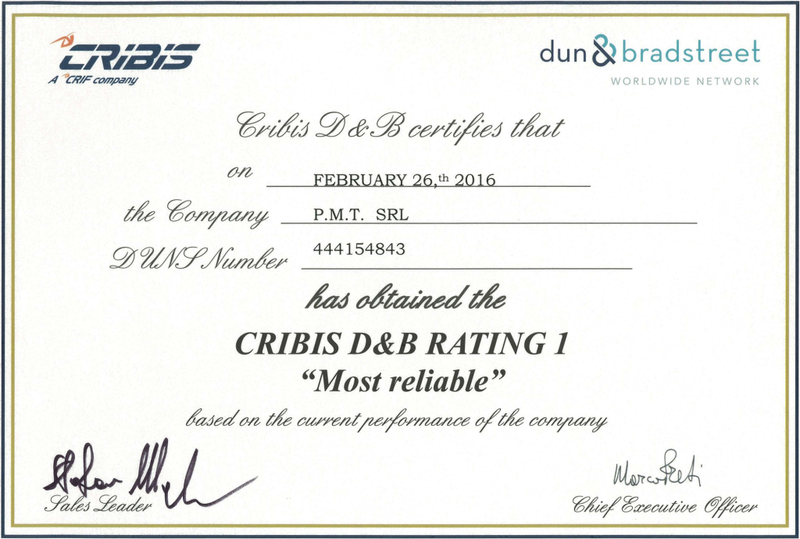 is one of the classified realities by CRIBIS D&B as the best commercial partners B2B, a study that measures the reliability of the Italian factories by the point of view of the commercial relations in 2015.